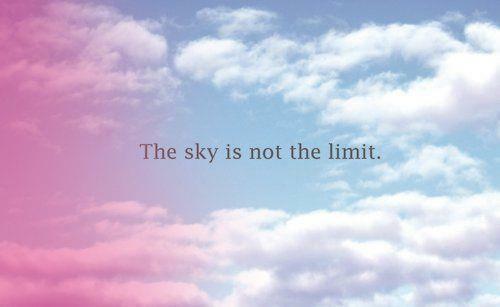 The sky is not the limit, says the Lord. I Am far above the sky, for the heavens are far above the earth, says the Lord. I Am limitless in space and time. I Am splitting the heavens open and pouring out My Spirit upon you, says the Lord. It is a new day, a new season of blessings untold. I will not have you in defeat! I will not have you struggling, says the Lord. My uncontainable blessings and favor are upon you. This is not a some day hope. Hope deferred makes the heart sick. This is a now Word, says the Lord. I Am pouring out My irrevocable favor upon you now. You have asked for life. I Am giving it to you MORE abundantly. You have pleaded for help. Help is on the way! I am not leaving you to your own devices. Be encouraged, says the Lord. Be uplifted. I Am with you to prosper you and give you good health, for I Am YOUR ON TIME GOD! Do not despair. Do not wallow in fear! It is a time to rejoice in My goodness and mercy that I Am sending you, says the Lord. The sky is split open. The rain of My Spirit is falling. You asked for More. I said, “Yes!” You asked for My manifest presence. I say, “YES!” I Am giving you My limitless provision, My limitless love, My limitless wisdom and knowledge. I Am giving you My limitless unspeakable peace and joy. I Am the God of all comfort! I Am with you, says the Lord. What I promised, I will do. I Am your everything and all! It is My good pleasure to pour out My Spirit upon you and elevate you into the glorious heavenlies so that you can soar effortlessly in My presence. I Am your provisional God, and nothing, absolutely nothing is out of bounds with Me. My limitless goodness and mercy is rightfully upon you as you entrust Me with your total existence this day, says the Lord.